Now and then something reminds me how long I’ve been in the travel writing business. 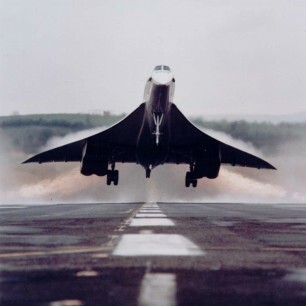 On Thursday (January 21) 40 years will have passed since the world’s first commercial, supersonic flights took off from London and Paris. It was a day of high excitement. Millions would have given their eye teeth to have been my shoes as I set off for Heathrow that morning, for I had a seat on British Airways’ inaugural Concorde service Heathrow to Bahrain. Amid all the patriotic tub thumping I still harboured lurking misgivings about the development of what some saw as a supersonic white elephant. While reporting on its progress I had developed huge admiration for the technicians and test pilots who had brought the project this far, but I retained serious doubts about its viability. The Americans had scrapped their rival SST programme, not least because objections to the sonic boom made it doubtful such a jet would be able to operate coast to coast across the US. The Soviet Union persisted with the TU-144 for a while, but it never competed on international routes. 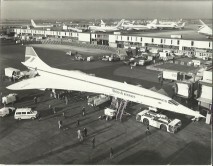 Concorde was still not allowed to fly to New York. This was a day, however, when all such thoughts were banished. To introduce a negative note would have been churlish. The yellowing clippings of news stories and travel articles I’ve written over four decades and more would be enough to wallpaper the house. They cover pivotal events from the collapse of Court Line, which led to a huge tightening of financial protection for holidaymakers, to the launch of packages to Florida and short breaks to Soviet Moscow, and the advent of low cost airlines. None was more memorable than those few, adrenalin fueled hours. Securing a seat had been tricky. I then worked for the London Evening standard, reporting on travel and aviation. The newspaper’s final edition was due to go to press within minutes of our planned arrival in the Gulf. Any delay might scupper the coverage. The print unions weren’t renowned for their flexibility. We could fly through the sound barrier but the ability to email a story in flight was still far in the future. We still used typewriters. Pages were set up with hot metal. It was agreed that the front page should be left open. BA agreed to take the risk. It held open phone lines to London from Bahrain airport, so that I - and my opposite number from the Evening News - could dictate copy instantly on landing. One remaining problem: the Duke of Kent would be on board, so we needed official permission to breach protocol and sprint off the aircraft before him. After a crowded champagne reception at Heathrow we took off simultaneously with the Air France Concorde, which was heading to Rio de Janeiro. The two take offs were shown simultaneously on split screen television. There was more bubbly on board – Dom Perignon 1969 - caviare and lobster canapés, duck breast or fillet steak for lunch, with strawberries for afters. Havana cigars were on offer. We went supersonic just beyond Venice and hit Mach 2 (twice the speed of sound) somewhere near the southern Italian port of Brindisi. As usual there was only the slightest sensation of acceleration. 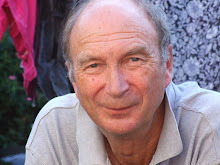 As a late colleague was fond of writing: “There was scarcely a ripple on my exquisite glass of champagne”. Sadly I did not witness one of the high profile passengers, Margaret, Duchess of Argyll rapping on one of the bulkhead Mach meters to revive it after it refused to acknowledge these historic moments. But for the most part the flight of just over 4hrs passed in a whirlwind of squeezing past TV cameramen in the narrow aisle to conduct interviews and frantically scrawling my story, mostly in longhand, so it would be ready to dictate to a copy taker the moment I disembarked. As the door opened I trotted down the red carpet to the telephone. The Bahraini guard of honour, expecting the Duke, moved to present arms. Whether they actually went through with it I can’t say - and I was in too much of hurry to notice. But why spoil a good story. The copytaker in London was waiting at the end of the line. Copy dictated, job done, front page splash on the news stands within the hour. Phew. The flaw in a travel journalist’s existence is that such highs are transient. In September the following year I was on a somewhat less glamourous inaugural – queuing through the night at Gatwick with passengers and other news reporters for Freddie Laker’s first low fare, walk-on Skytrain service to New York. To get the first hand consumer experience, that was. The two male passengers on the Piccadilly Line from Heathrow when I returned from Bahrain would not have been the least surprised to see a Laker Airways label there. But as their eyes lit upon the prestigious Concorde tag I distinctly heard one say, albeit with a hint of jealousy in his voice: “must be crew”.